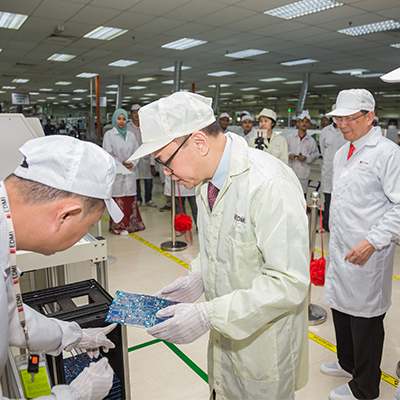 SINGAPORE, 1 February, 2018 – EDMI Limited, a leading smart metering solutions provider, has launched a new automated manufacturing line at EDMI Electronics Sdn Bhd (EESB), EDMI’s principal manufacturing plant in Senai, Malaysia. With this new line, productivity will increase almost threefold compared to the non-automated lines at EESB. The automated manufacturing line will be dedicated to the production of SMETS2 smart electricity meters for Great Britain, with the intention to adapt to other models in the future. 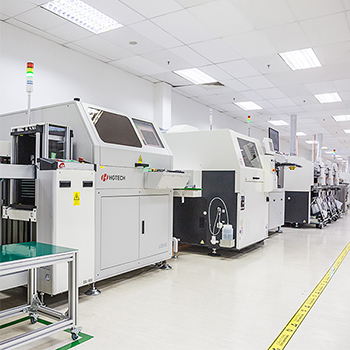 The fully automated manufacturing line, from the Surface Mount Technology (SMT) line to packaging, enables seamless production of smart meters in high volume and of superior quality with minimum operator intervention. The Auto Insert and Selective Soldering technologies are also introduced for Through-hole components mounting to produce consistent quality, which is due to become more popular across manufacturing sites globally in the future. Furthermore, the line is equipped with a high traceability system that intelligently detects a failure of every single component instantly, which further enhances the quality of production. Implementation of this line was in preparation of the high demand of smart meters for the residential rollout in Great Britain, where EDMI has contracts with some of the major energy suppliers in the country to provide its CPA (Commercial Product Assurance) certified electricity and gas meters. Developed based on Design For Manufacture (DFM) principles to simplify processes enabling lean manufacturing, also ensures the meters are built to a consistent high level of quality, reliability and flexibility to better meet customer demands. The semi-automated gas meter production line is also being optimised in tandem ahead of full scale manufacturing. The new line opening ceremony was held at EESB on 26th January 2018, where the new automated line commissioning was demonstrated to the management team from EDMI, as well as those who have contributed to the project. EDMI adapted the automated line based on the manufacturing technologies from Osaki, the parent company of EDMI, and one of the leading meter companies in Japan.